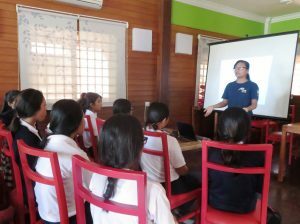 Suzy from our Siem Reap program in Cambodia sets the scene before a reflection from our recent intern there, Sophia Sun. 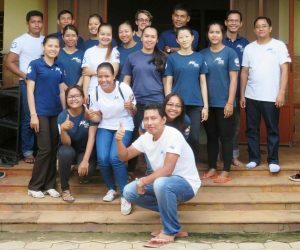 “This summer, we were very lucky and happy to have Sophea Sun, a former student of Jay Pritzker Academy (JPA), as our ChildSafe Intern at Kaliyan Mith Siem Reap. She joined Friends-International through her participation in the Bonner Scholar Program and the Center for Excellence in Learning through Service (CELTS). 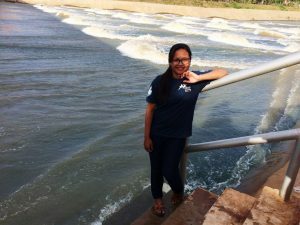 We thank Sophea so much for her invaluable help and great personality – she was a great addition to the #everydayheroes of our team, and we wish her all the best as she is now back in the US pursuing her studies in education and mathematics. 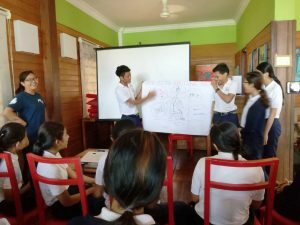 Here is her personal reflection on her experiences at Kaliyan Mith, along with some photos of her presenting ChildSafe to her friends at JPA. ‘Hi. My name is Sophea Sun, I’m currently a freshman at Berea College. This summer, 2017, I got my first official internship with Kaliyan Mith. I am very thankful for this opportunity because I gained new knowledge and skills to become a better citizen. 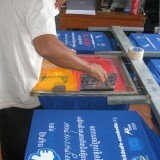 Truly, before I came here, I did not know that there is such an organization in Siem Reap. I really appreciated all the experiences that I have learned here. Before, I used to question myself why there are still many marginalized kids on the street when there are many organizations that claim to help those kids improve their lives. However, coming here, I realized the reason why are a lot of kids living in poor conditions. Different organizations, like Kaliyan Mith, offer them help; however, some of those kids decided not to get help. One of the main reasons is that they like what they do and they earn a lot of money, especially through selling and begging. Then, I have another follow-up question which is how could they earn so much money? The answer is because they are kids. Through my experiences, like other people, I bought from and gave money to kids because I feel pity. After I started working at Friends-International, I realized that my sympathy toward those kids is what keeps them the way they are. I have been part of the problem although I used to think giving money to and buying from those kids would help to improve their lives. One of the experiences that I am passionate about is shadowing Madame Phalla and Suzy to different trainings and learning about the trainee perspectives and experiences. Some people, especially foreigners, are surprised by the fact that nearly 80% of the kids in orphanages are not orphans. Sometimes, facts that trainers give to people are strongly supported by trainees with their experiences. 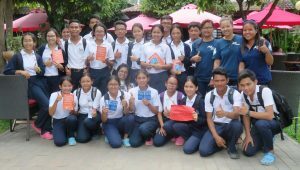 When shadowing the two amazing trainers, I shared my experiences of how tourists volunteer to teach English to local students (and I was one of those students) without realizing that they are teaching the same things as the previous tourist group. Sometimes, I gave part of the training, and it clearly showed what kinds of skills I need to improve since I intended to become a teacher one day. I learned that I need to be more patient when people are sharing things against my ideas or the things that are presented. Being patient is an essential trait to have because everyone is different. In order to persuade someone to accept or understand our perspective, we need to seek an understanding of their ideas first so that we could communicate peacefully. 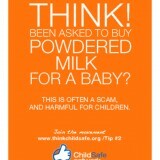 I really enjoyed helping the ChildSafe movement to adapt PowerPoints before giving training. This part of the work gets me to think deeply about different case studies that we could give to people so that they could fully see what’s presented to them is actually true. Adaptability is a skill that everyone needs. When preparing the PowerPoint, I did some translation between Khmer and English, which lead to a big realization of how important it is to know more than one language. I learned that it is important for people to know the language and culture of the place that he or she plans to intern. Knowing the culture of the location is beneficial in communication because I could communicate with the local people effectively without making them feel offended.